The region’s people and culture teams have had Talent Acquisition high on their agenda for some time. 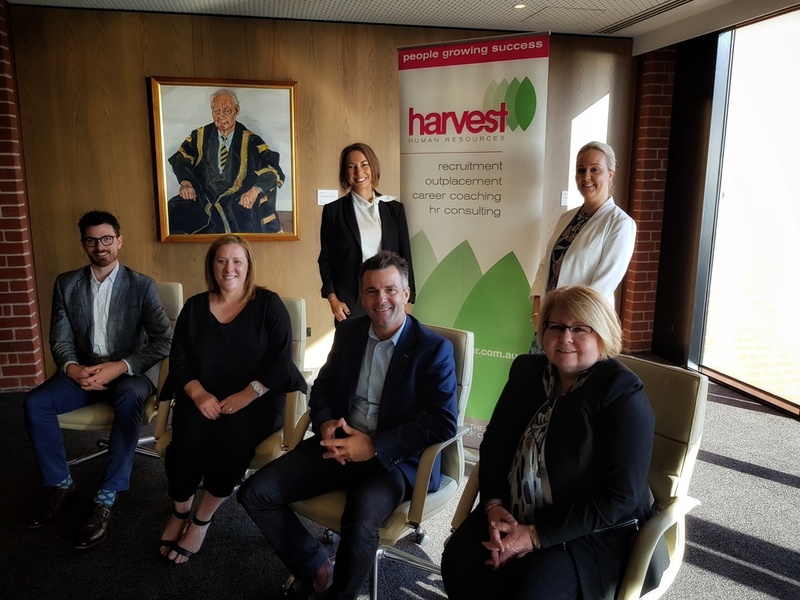 Harvest was privileged to have an expert panel share their experience, challenges and learnings at our March 2019 HR Roundtable. Panelists Jeremy Crawford (Medibank), Mick Fuller (Epworth), Narelle Bell (WorkSafe) and Kim Wallace (Tango Energy) have each had their own journey with regards to talent acquisition and management on behalf of their companies. New and established brands are both faced with the challenge of attracting prospective employees. Attracting talent is often easy when you are ‘bright, shiny and new’. According to Narelle, WorkSafe, whose offices officially opened in Geelong in July 2018 and who have attracted many quality candidates during their ‘honeymoon’ period. Also a new kid on the block, Tango Energy with a staff turnover of only 2%, must be doing something right. It’s been a journey for them, transitioning from renewable energy company Pacific Hydro to a newly branded retail division -Tango Energy and expanding the business. The introduction of the Government Energy Comparison Site helped Tango significantly, says Kim. The challenge that lies ahead is to have more of a presence in the local market and beyond as part of their ‘Good to Great’ journey. Epworth have spent significant time building their employment brand with major input from a leadership group from within the organisation working closely with HR. Epworth’s workforce profile is over 1/3 casual employees which has been an attraction for prospective employees who want to see what the work environment is like. Medibank’s focus is on building stories and themes targeted at the demographics and needs of their customers. This is especially relevant with the 22 -25 age bracket where adult children are leaving home and are no longer covered by their parent’s health insurance. Along with this messaging and the use of digital channels, this organically appeals to prospective employees. It’s perfect customer branding lining up with employee branding. Panelists shared the benefit of encouraging current employees to advocate and promote the organisation is a great tip. Often incentivised, this can really help find the best talent in the market. The key to attracting best talent is often centred around employee recognition. Creating something that is meaningful to the individuals in the workforce. This is a challenge Kim and the team at Tango Energy are addressing within their culturally diverse workforce. The workforce is representative of the community – the customer base they are attracting. Creating something meaningful such as celebrating successes and recognising significant cultural days is high on the agenda. A TA strategy needs to be focussed on the future direction of an organisation and what the structure needs to be to support this. At WorkSafe the Talent Acquisition Strategy, and a separate TA division really only came into play in 2016/2017. Narelle reflected on the significant degree of stakeholder communication and engagement that was required during this time for hiring managers to see the benefit. Our panel organisations, many who have a high number of specialist roles are very Geelong focussed and keen to attract people into the region with the Western suburbs of Melbourne being a hot spot for recruitment. All organisations are proud that Geelong has re-invented itself from a manufacturing town to a technology, administration hub. This is resonating with candidates who can see Geelong is continuing to grow and see re-locating to Geelong is a viable option. Also, a number of the panellists’ employees were accustomed to travelling to Melbourne from Geelong and have been able to present a viable career offering for such individuals. Sometimes it is necessary, especially in the health field, to recruit internationally. Epworth’s Mick, explained USA, NZ, UK and Irelend have the closest health care systems to Australia. Recruiting internationally can be a long-term (often up to six months) exercise, interviews are often conducted via skype and the relocation process takes time and money. On the up side, employees are captive and committed once sponsored. What was important in attracting your own TA team members? What qualities do they need to possess? Attracting your own TA team, all agreed it requires a personal touch. Human traits such as showing humility, respect and modesty are still very important. The two organisations with sizeable TA teams mentioned the TA role is that of a consultant/advisor not a linear “processor”. They are prepared to build relationships and have the hard conversations in addition to filling job briefs. While agency recruiters can work there’s no room for the high commission style recruiters in in-house roles. TA is only part of the HR function and it’s a good idea to employ someone who may bring other skills as they may look to explore other areas down the track. Someone who is willing to do the hard yards, undertake professional development and have a strong career focus will have opportunities beyond the TA team with such organisations. The secrets of a successful in-house talent acquisition team. Looking back, what has worked? One of the challenges of an in-house Talent Acquisition team is to get buy in from key stakeholders within the organisation. Address, what’s in it for them? Open communication between all parties is crucial. Jeremy advises that HR need to be subject experts in their field. However, HR professionals need to realise they are not technical experts yet they need to work closely with the individuals who are. Medibank run workshops to train managers on expert HR subject matter such as Interview Coaching, Behavioural Testing (what it really means) and best talent acquisition. Our panelists all agreed, kicking some early goals and wins with key stakeholders turns these people into TA advocates. HR teams also need to dedicate time for ‘internal marketing’ and sharing the successes of their TA teams. And what about internal candidates? WorkSafe has the mandate that internal candidates must inform their manager prior to applying for roles internally. They also have the rule that the hiring manager has contact with the internal candidate whether interviewed or not. Medibank measures candidate experience both through online surveys and calls by the TA team. When Medibank turned off PageUp™ in 2018 it allowed them to analyse, going back to manual, what was working/not working. One key aspect was candidate experience and the organisation now has this as a key deliverable. At Medibank, if an internal candidate has not had a minimum of four contacts from application to interview it becomes a performance discussion with TA. There was much discussion around the table on the greater importance of values/culture fit over technical competence. Many organisations require candidates to address these in applications and these are also covered off in interviews. Asking questions such as “Tell us a time you have lived that value”. While Epworth use a bespoke Values Profile for candidates. Medibank and Wyndham talked of focussing on capability frameworks and moving questioning here. Also addressed was that situational/behavioural interviewing may be done. More organisations are interested in how individuals think and would respond. In interviews, hypothetical challenges are presented to candidates which is where the organisation learns how an individual may respond if presented a “fluid” challenge. Medibank did an analysis of reference checking and found that only 1 in 3000 placements had been rejected because of a poor reference check. They have moved to an outsourced arrangement that costs $39 per reference. Other organisations are now fully automated an online from reference checking through to offers/acceptances and onboarding. Worksafe reflected the importance of a system to match and support the process not the other way around. The panel reflected that while there are advances in AI and automation in the recruitment journey, there is still the need for human interaction; often with hiring decisions coming down to the relationship developed either with candidates, TA teams or Hiring Managers. Mick is a career Human Resources professional, having in excess of 20 years’ experience across a range of industries including Manufacturing, Financial Services & Insurance, Wholesale & Retail trade, and most recently Healthcare. Mick originates from Gippsland, though has spent the bulk of his professional career in Melbourne and Geelong regions. His tertiary qualifications cover diverse areas of Applied Science, Risk Management, Human Resources, and Business. This diversity of experience has equipped Mick well for his most recent challenge of leading the people strategy for the Greenfields hospital development at Epworth Geelong. Establishing a love of customers and service early on, Jeremy completed his Hotel Management qualifications at William Angliss and spent 8 years in hatted restaurants, hotels, and major events having held roles including Corporate Sales Manager – Australian Grand Prix Corporation, General Manager Rydges Hotel Hobart, and CEO Werribee Racing Club. Falling into the recruitment industry accidentally, Jeremy has had the privilege of working within a Global Agency, Executive Search Firm, and a brand new Start Up, before consulting independently to SMEs prior to joining Medibank as Talent Lead. Jeremy commenced as Talent Lead with Medibank mid-2018 and within 3 weeks of joining, the decision was made to part ways with the ATS PageUp after a major data and security breach… with no backup system. Running on manual processes for almost 800 hires in the last 6 months of 2018, the team has started from scratch on Candidate Experience Design, Hiring Manager Experience, and designing the role technology should play in recruitment process. Apart from trying to solve the world’s talent problems in the early hours of most mornings, Jeremy can be seen actively promoting Geelong as the best place on earth to live, in an art gallery, volunteering at election day BBQs, or trying to conquer the latest fitness program. Narelle leads the Talent function at WorkSafe Victoria in Geelong and was formerly Recruitment Manager at Aconex (now Oracle), Recruitment Lead at Westpac and Account Manager at Regent Recruitment. 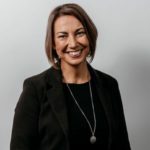 With significant people leadership, change management and recruitment experience, she was responsible for the recruitment strategy and execution of WorkSafe’s successful relocation to Geelong and is currently leading talent acquisition for the WorkSafe 2030 transformation program. Her specialities include organisation wide transformation and relocation programs, strategy and execution, employment branding, search, assessment and selection, digitalising the candidate experience, project management, and analytics and insights. Narelle holds a Masters of Business in Human Resource Management and Industrial Relations; Bachelor (Hons) Humanities and Social Science. Kim joined Tango Energy Pty Ltd in March 2017 when it was operating from Melbourne under the brand Pacific Hydro Retail with 13 employees. Since then she has managed the headcount expansion to 80, relocation of the Company’s core operations to Geelong, supported the brand change to Tango energy and a restructure of the business under a new CEO. Kim has extensive HR and Labor Relations experience in large global businesses including Alcoa, General Motors, National Express Group, Ericsson and Ford. She has also worked as a visiting lecturer in HR Strategy at RMIT University and Swinburne University. Kim holds a Bachelor of Business with a major in human resources and labor relations from RMIT University in Melbourne and is a certified member of the Australian Human Resources and a member of the Australian Institute of Company Directors. Kim is a councillor with the Royal Geelong Agricultural & Pastoral Society and enjoys reading, dining out with friends, working with her husband on their 134 acre farm and groom for her daughter at equestrian events.